This story was published in the beginning of our Marriage Service pamphlet which my daughter unearthed recently from a box in my closet. She was captivated by it because it is the story of her parents, not because it is a truly captivating read. If anything, it’s charming and sweet–which probably explains a lot about me. Once upon a time, there was a boy and he had his eye on a girl. One morning he bravely handed her a white rose on the school bus. Seven years later, when he asked her to marry him, he again gave her a white rose. 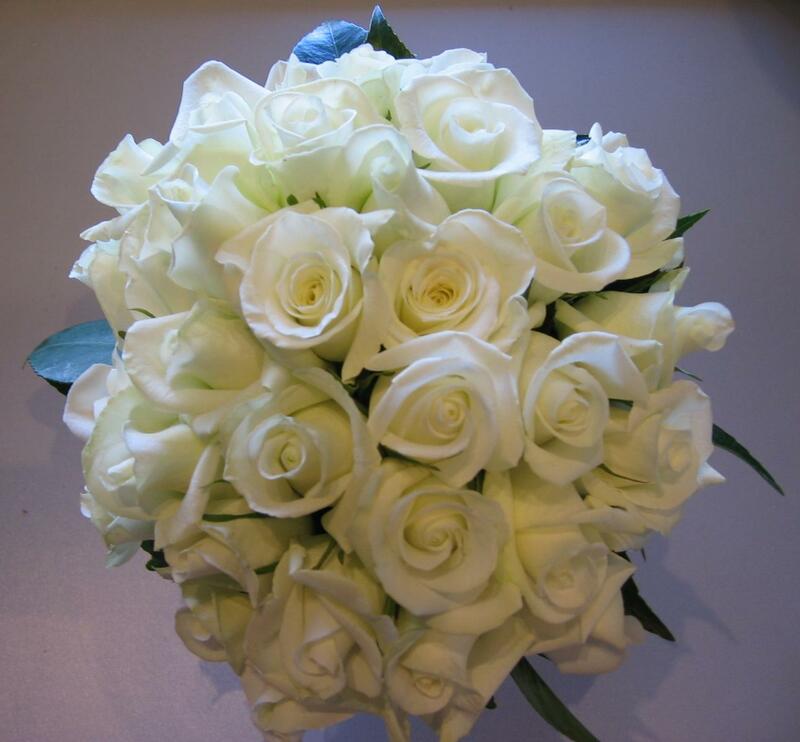 So today, on their wedding day, the girl carries white roses in honor of this history. It was a good choice. We were smart cookies. So, yes, we were high school sweethearts who, against all odds, were actually right for each other. We’ve been married now for fifteen years this May and have been together for twenty-four years this past November. There were some hitches in there, some break ups, and some bad times, but we’ve always come out the other side together. May we be lucky enough to always continue coming out the other side of whatever we face in the future still together and still in love.